A Rising Tide: Maternity Care Coalition. The public face of over-incarceration is overwhelmingly male. However, between 1980 and 2016, the number of incarcerated women in the U.S. increased by more than 700 percent. While research has revealed that the root causes and effects of incarceration are different for women and girls, our criminal and juvenile justice systems have largely remained gender non-responsive. As a result, too often our public health systems are left to deal with unaddressed issues of trauma, abuse, poor mental and physical health, substance abuse, and poverty. These challenges have multigenerational impacts, affecting not only women and girls who are incarcerated, but also their children, families, and communities. 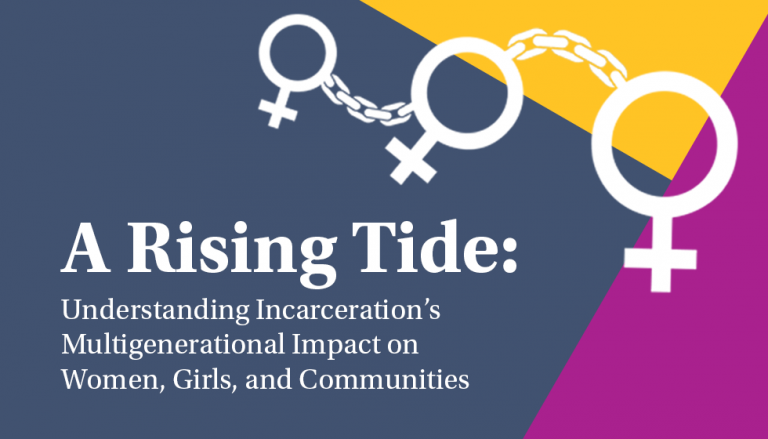 Join Maternity Care Coalition and the Stoneleigh Foundation for A Rising Tide: Understanding Incarceration’s Multigenerational Impact on Women, Girls, and Communities. This day-long forum will bring together policymakers, system stakeholders, industry leaders, advocates, and community members to explore how incarceration affects women, girls, and parenting families and to identify solutions promoting their health and well-being. NOTE: This event has been approved by the Pennsylvania Continuing Legal Education Board for 3.5 hours of substantive law, practice and procedure CLE credit.